WASHINGTON — NASA Administrator Jim Bridenstine faced criticism from some House members at an April 2 hearing who questioned the urgency of the administration’s plans to accelerate a human return to the moon and sought details about how much it will cost. A hearing by the House Science Committee on NASA’s fiscal year 2020 budget request focused in large part on plans not included in the original request to move up landings of astronauts on the moon from 2028 to 2024. Vice President Mike Pence announced the new goal during the March 26 meeting of the National Space Council in Huntsville, Alabama. “Relying on that testimony, I would have no idea that Vice President Pence, presumably speaking for the president, last week directed NASA to undertake a crash program to put astronauts on the moon within five years,” she said. Bridenstine offered few additional details about how NASA will achieve the new goal during the hearing, which lasted for more than two and a half hours. A day earlier, Bridenstine said the agency was still keeping all options open but hopes to have an initial plan ready in a couple weeks. 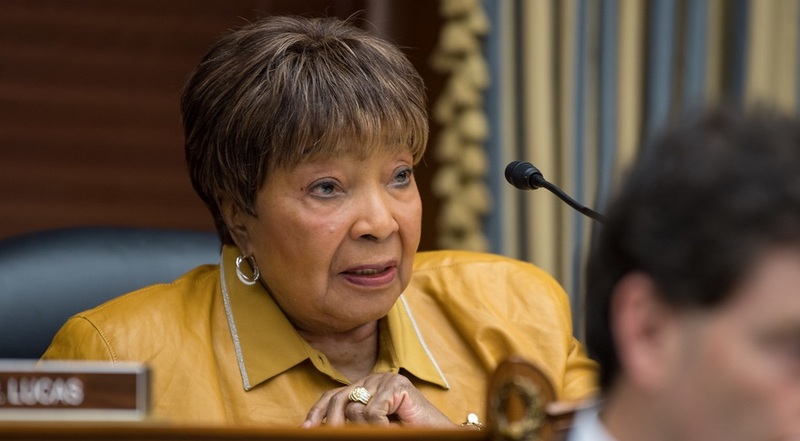 Johnson and other members also asked about the timing of last week’s announcement to move up the human return to the moon to 2024, coming just 15 days after the administration’s budget request that was still focused on a 2028 return. Johnson asked Bridenstine when he found out about the accelerated timetable. “The vice president and I had had conversations about accelerating the path to the moon,” Bridenstine said, adding that Pence informed him ahead of the March 26 speech “that he was intending to make that announcement, and he wanted to make sure that was within the realm of possibility.” He didn’t specify how soon before the speech Pence informed him of the new plan. Asked later by Rep. Bill Foster (D-Ill.) who made the decision to move up the schedule, Bridenstine said it was made by the president. “The determination was made that we would need to make an amendment to the budget request, and we’re working on that right now,” Bridenstine said, adding it would be additional money and not offset from other agency programs. One Democrat on the committee, though, appeared open to supporting an accelerated human return to the moon, particularly if it could also lead to, as Bridenstine indicated in his testimony, a human mission to Mars as soon as 2033. “I’m going to be turning over every stone to provide the resources” to achieve that goal, he concluded.